Life takes crazy turns sometimes and so I am a bit late to post my card for great collaboration that was happening in the last few days. Studio Katia teamed up with Chibitronics for three days of fun and inspiration. 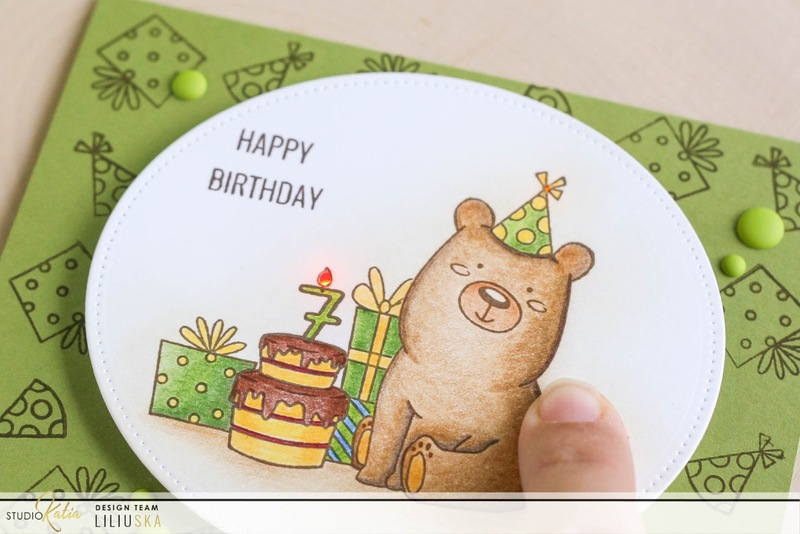 For my card I picked Kobi the Birthday Bear stamp set. Since my son likes green colour most it was easy to pick the colour theme. 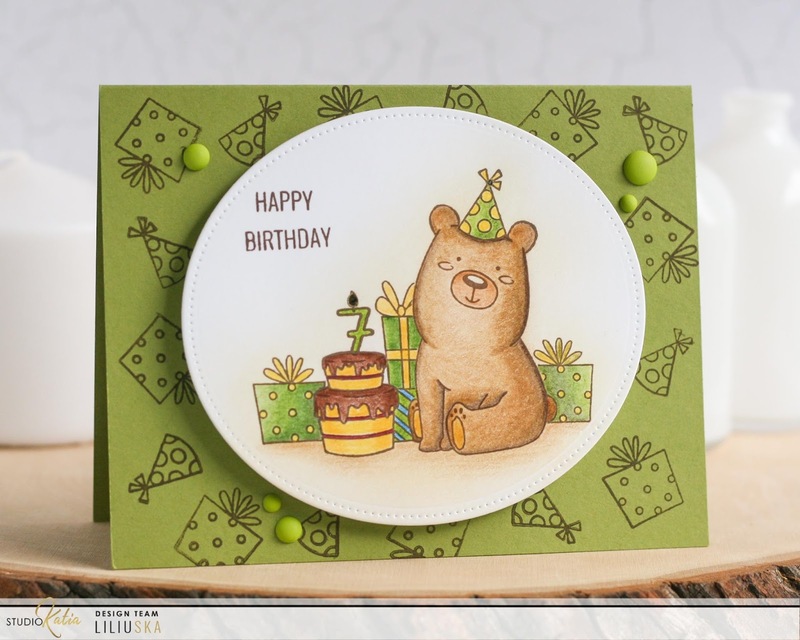 I stamped a little scene using masks and coloured it with Polychromos pencils. 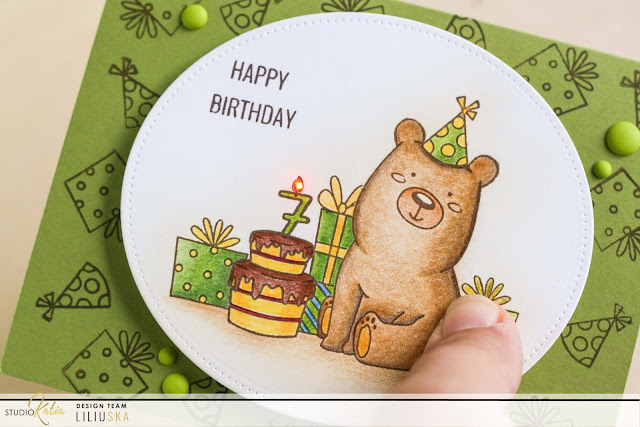 Next was the tricky part - make a circuit that would connect battery to the lights, so when you press on the gift behind the bear, candle light and bear's hat light up. I wanted it to be more fun, so I added a light on the hat too. 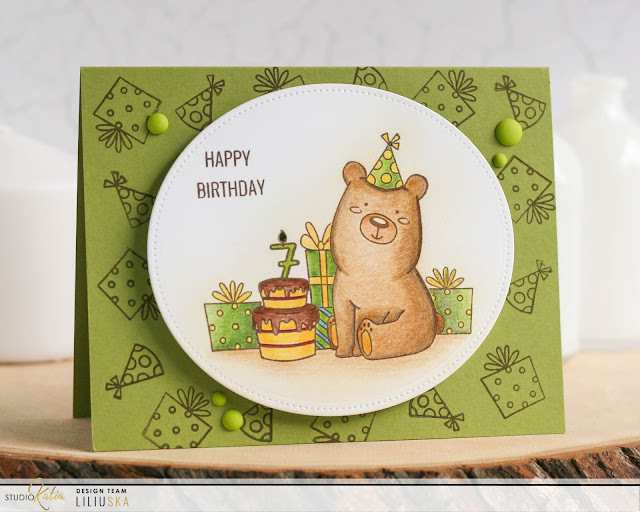 I like stamping small images on the card base, so it adds some fun look and detail. 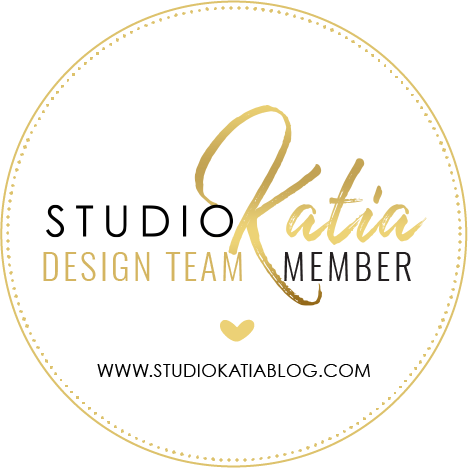 Check out Studio Katia Blog tonight to find out who's the winner of this collaboration and see all wonderful cards by the DT Ladies!